Anyone who attempts to pursue outdoor adventuring as a family with any seriousness quickly comes to a realization: gear costs money. Early on in the process, you can get away with a minimal investment. If you go for short hikes in fair weather, close to home (or close to the car), in popular areas, and you are only out for an hour or two, clothing and gear do not matter much. In those conditions you are not likely to be putting yourself in a situation where you are in danger of getting hypothermia or something worse. We started to increase our distance and the amount of time we spent outdoors. To the point where we would be on the trail for up to 8 hours in a day, often to remote locations. We started to venture out in all weather conditions. Unless things looked really bad, even if rain was in the forecast we didn't change our plans. We started to venture out in all seasons. We didn't want to restrict our outdoor fun to summer only, eventually getting to the point where we were doing it year round through New England winters. We started to venture out on multi-day trips. What we quickly learned was that in any conditions other than ideal conditions, clothing and gear made the difference between success and failure. And failure could mean a compromise in safety - something we wanted to avoid. 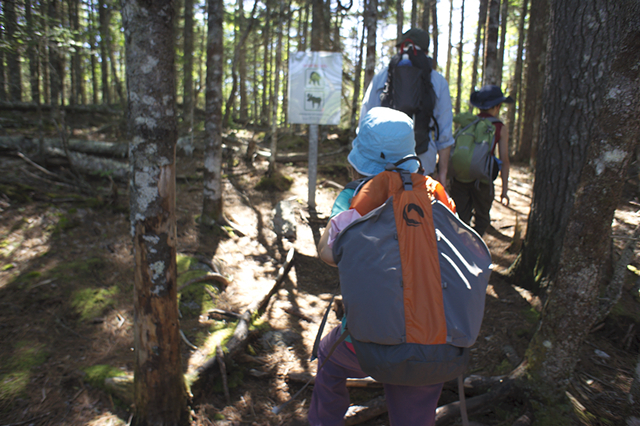 The other thing we quickly learned was that outfitting a family of five isn't cheap. If this was something we wanted to pursue, we needed a strategy. 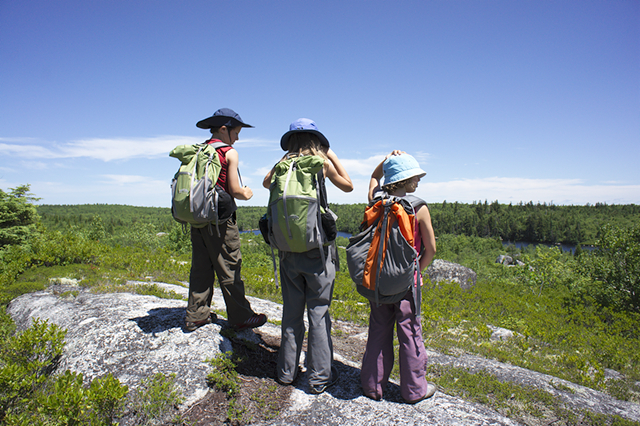 Family Outdoor Adventure Budget - We created a family outdoor adventure budget. I, the gear junkie, was put in charge of managing it. Family Clothing Budget - I was put in charge of managing the family clothing budget also. This was a very important first step for us. By doing this, we were officially acknowledging the importance of spending time in the outdoors together as a family. We were putting our money where our priorities were. We work on a mostly cash-based budgeting system. We have an adventure envelope and every month put the allotted amount in there. I, the gear guy, do the research and have free reign over how that budget is spent. If the money is in the envelope and I think we need a particular item, I can purchase it. This system is also very helpful for budgeting and planning. Since I know I can count on a certain amount every month, I can plan how to save for larger purchases. Another important rule we have is that any time we sell gear, the proceeds from the sale go back into the outdoor budget. It keeps things nice and tidy. outdoors than any other activity so as to not spread our finances too thin. Also, since we use our outdoor gear for travel, using a tent instead of a hotel, we consider it a cost savings investment. For the outdoors, gear and clothing go together as a complete system. I didn't want to spend the adventure budget on clothing when I knew full well that any clothing purchases we made would be used everyday, not just on our hikes. I knew what kinds of clothing we needed, but didn't have any way to budget for it. The solution to the problem was to put me in charge of the clothing budget too. What is cool about this system is that whenever a clothing need comes up in the family, I try to kill two birds with one stone wherever possible. For example, if someone needs a pair of pants I evaluate whether or not it makes sense to get a pair of outdoor pants that can also be used as everyday wear. Of course if the need is for a pair of dress pants, then that won't work. Often though, a lot of clothing purchases can be made to work in the outdoors and everyday life. What this means is that we now have a lot more multi-purpose clothing than we used to. We wear more outdoor clothing on a regular basis, because it works, and we need it for the outdoors anyway. We also have less articles of clothing because we don't need multiples of everything. Yes, outdoor clothing is more expensive. But it is usually high quality, and if you are wearing it everyday, not just for your weekend hikes, it is much easier to justify the cost. The third rule we instituted was to NOT pay for our outdoor trip expenses out of the adventure budget. Or, said another way, the adventure budget is not a vacation budget. The biggest limiting factor for us in doing the outdoor activities we wanted was having the right gear. It was important to make sure that the adventure budget was used for gear, not as an “everything to do with the outdoors” fund. When we travel, food expenses come from our food budget, gas expenses from our gas budget, etc. For us, integrating the expenses of outdoor activities into our regular budget signified that pursuing adventure together is a key part of who we are, not something separate, for “recreation only”. For our family, adventuring on a budget is not about doing it on the cheap. It is about budgeting it into our lives like we would any other high-priority expense. Building-it-in rather than tacking-it-on. We were created for the outdoors, it is our natural environment. Doesn't it seem funny that we have to draw lines in the sand in order to make it a part of our lives?